Managing IT like a business demands integrated and systematic business and IT insight the kind of integration and systematic insight that SAP has spent the last 35 years helping the world's leading companies achieve. Best-run businesses use SAP solutions to automate key business processes so they can close the gap between strategy and execution. Best-run businesses drive clarity into their organizations by gaining insight for improved performance, efficiency for optimized operations, and flexibility to adapt quickly to changing circumstances. Like best-run businesses, best-run IT organizations are able to optimize operations, maximize innovation, and adjust rapidly to evolving business needs. Their IT management solutions help them better understand themselves and their customers and make the best decisions in the face of challenging expectations and constraints. 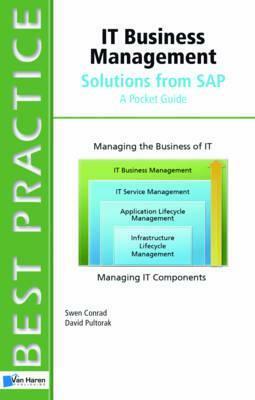 This book outlines SAP's view on best-run IT. It will help orient you to our related solutions and provide you with ideas for driving clarity and business value in your IT organization.